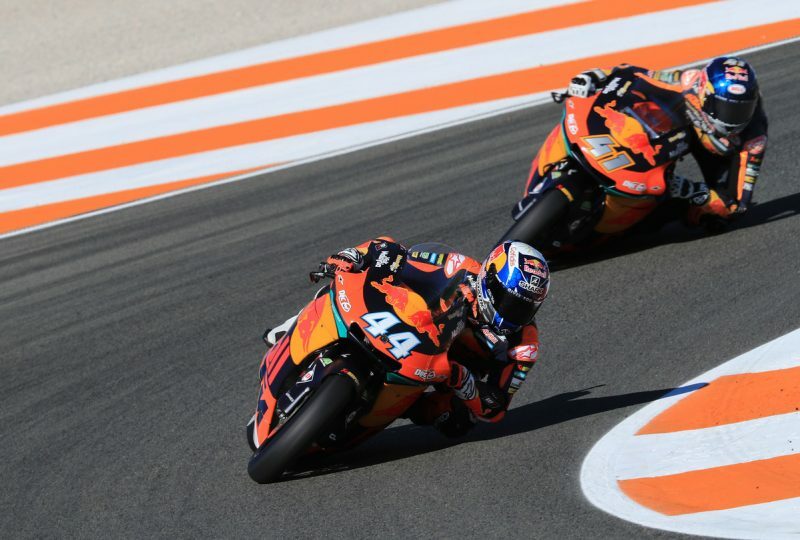 While MotoGPTM routinely hit the headlines for KTM in 2017, the factory’s intermediate class efforts were going quietly understated. That axis shifted at Phillip Island, Sepang and Valencia. 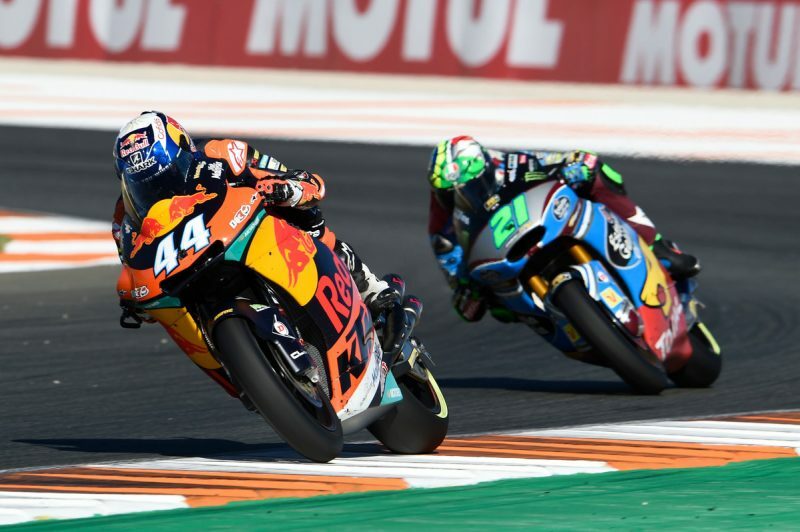 In the last three rounds of the season, Miguel Oliveira won three consecutive times with Brad Binder joining him on the podium in the Moto2 category. 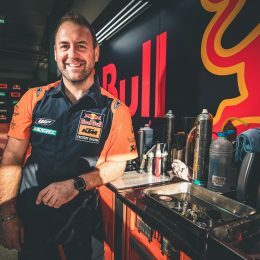 The rate of evolution and results not only made the WP Performance Systems-framed machine the most successful from KTM’s assault on the asphalt this year but also one of the most vital in completing the KTM ladder. 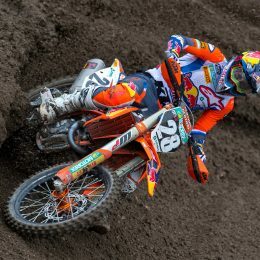 Oliveira was third in the championship with nine trophies overall. 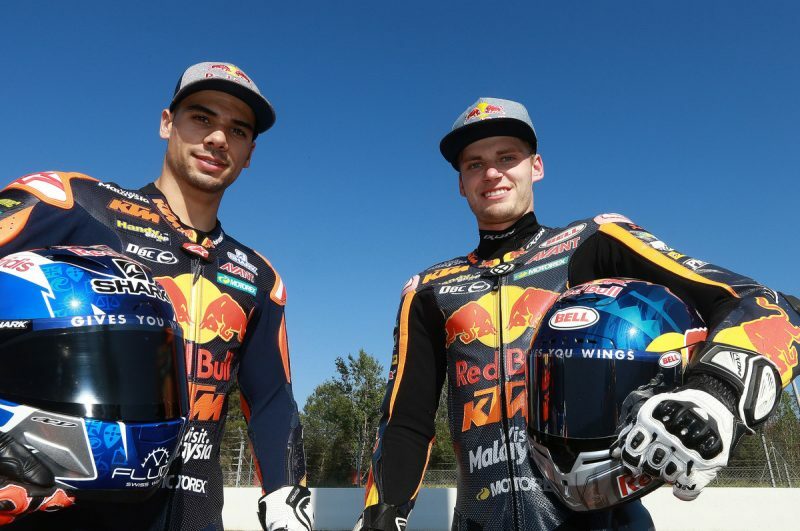 In a sense, Moto2 was an even bigger mountain for the KTM AG than their cousins in MotoGPTM: two relative rookies to the class with the Portuguese and South African and a brand new chassis and knowledge and management of Dunlop tires with the standard 600cc powerplant. It was quite a curve to negotiate. MotoGPTM was a big and entirely new concept but the team was armed with experienced riders and staff. Moto2? Take a card from the deck. Challenging the might of Kalex – the brand had the nine first riders in the final 2016 ranking – was already a hefty task but the WP technicians both for chassis and suspension setup had their ideas for maximizing traction and reducing wear. 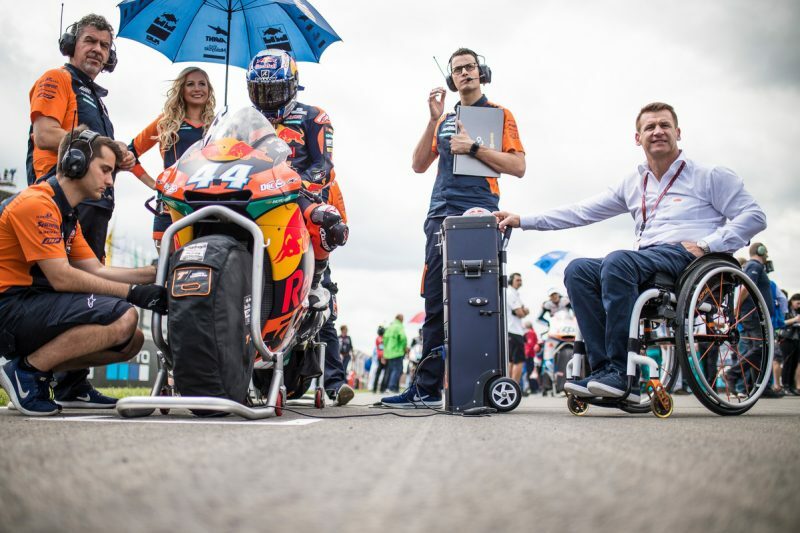 Then it was down to the riders, and both Moto3 world champ Binder (desperately trying to recover fitness and confidence from a broken left arm that required three further procedures) and Oliveira, one of the smartest riders on the grid, gathered pace quickly. 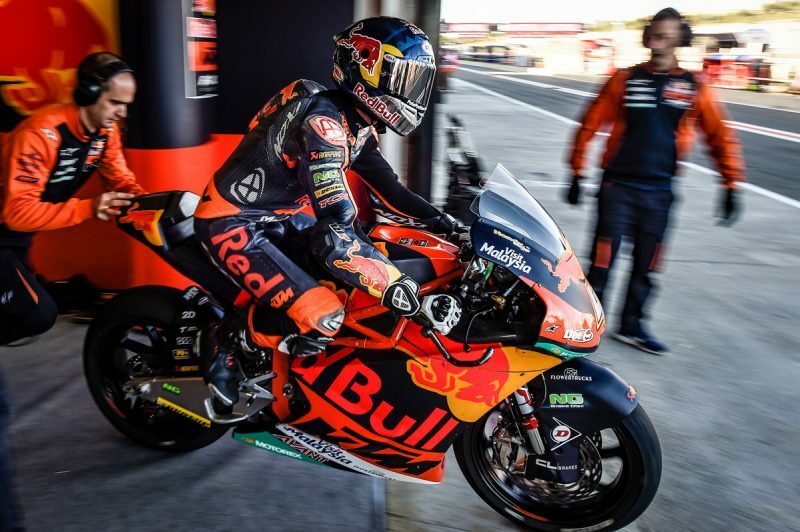 Like they did in Moto3 in 2012, KTM have shown their hand in Moto2 and more hardware could litter the grid very soon as the class faces up to an engine spec change in a year’s time. The rungs in the ladder are in place for the manufacturer to groom special talent all the way through the system. 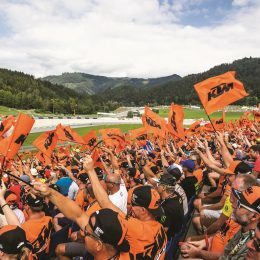 While Beirer again reiterated his message at Valencia that KTM’s racing department will not ease-off none of the other disciplines like Motocross, Supercross, Enduro and Rally where they have reaped victory and spoils (“not 1%” assured the German) there is little doubting the scope and skills that have made road racing bigger and stronger than ever within the halls of the workshop at Munderfing. It slightly boggles the mind where the factory can go next.